Kansas Gov. Sam Brownback (R) Tuesday signed into law a bill that requires applicants for welfare and unemployment benefits to undergo drug testing if there is "reasonable suspicion" they are using drugs. People who test positive would have to undergo drug treatment and job training at state expense before becoming eligible for cash assistance. 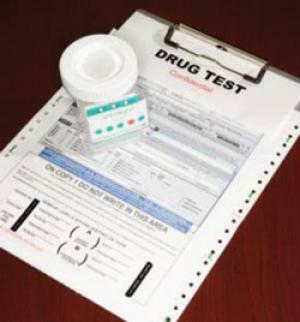 According to Senate Bill 149, "reasonable suspicion" may be derived from "applicant's or recipient's demeanor, missed appointments and arrest or other police records, previous employment or application for employment in an occupation or industry that regularly conducts drug screening, termination from previous employment due to use of a controlled substance or controlled substance analog or prior drug screening records of the applicant or recipient indicating use of a controlled substance or controlled substance analog." It is not clear why having worked or applied for a job in "an occupation or industry that regularly conducts drug screening" creates "reasonable suspicion" that someone is using drugs, but that's what the law says. Gov. Brownback signed the bill during a Tuesday afternoon, saying the state had an obligation to its residents to help them break their addictions and improve their lives through treatment and job training. "Drug addiction is a scourge in Kansas. This is a horrific thing that hits so many people," Brownback said. "What this effort is about is an attempt to get ahead of it, and instead of ignoring the problem to start treating the problem." Critics of the bill, including the American Civil Liberties Union state chapter, argued that public benefits recipients don't use drugs any more frequently than anyone else, that such laws perpetuate existing stigmas, and that they unnecessarily invade privacy. But those arguments did not sway the legislature or the governor. Slightly off topic: Are dancing and rock music still banned in the mid west states? Things are starting to change .. I believe the Beatles and Elvis are just beginning to break through. These are the monsters who know their time of lording unrighteous authority over others is coming to an end. Their evil lies will be exposed so they are doing their best to be blowhards of fear and propaganda. I'm surprised they left off "and those who post to 'pro-drug' websites." And "those who do not swear fealty to Drug Prohibition, or accuse at least one neighbor per month." Unfortunately there are various preachers in the south who spread heinous lies about drugs in general. I hope to begin a series before too long under the section False Prophets of Prohibition, where I expose them and what they say. Feel free to send me leads if you have verifiable quotes (I can look up via web or podcast) you want debunked and exposed. Those preachers are the blind who lead the blind politicians into more and more waste, perpetrating violence, and finally falling in the pit. If Kansas wants to make sure those on public assistance aren't part of the scourge of drug abuse in Kansas, isn't it even more important that Kansas drug test people buying or carrying firearms? I'm sure Gov. Brownback would agree. Shouldn't the headline have been, and now a word from the dark ages. That is how we Kansan's feel when we listen to Brownback spout his right-wing rhetoric. When this bill was argued, a particularly brave legislator who knew she could not stop the bill, added an amendment that would also require the same testing be done on any representative or senator for the same reasonable suspicion. I wonder where that proposal went? To outlaw it through the Marihuana Tax Act of 1937. Little did they know, they outlawed their very useful medicine at time, cannabis. They didn't know that marihuana and cannabis were the same thing. They were lied to. That's the basics of it, but if you want the whole story, just look it up. This is all and good, And im all for it, BUT heres the problem: Everyone in Washington is in bed with the Drug Industry, we all know this. Once we can get Government away from the payoffs from Drug Industries, and hundreds of other "Special Intrest Groups", and get back in bed with "We The People", then AND ONLY THEN can we once again have a Government that works for The People.